Technology is ever changing around us, and one of these changes comes in the form of output devices. Can you imagine looking up something on the computer and not being able to print it out? How could we look at or listen to anything on our computer without a monitor and speakers? All of this is possible because of the advancement of output devices. Output devices use electronic or electromechanical equipment, such as printers, video displays, or speakers, to present data from a computer to a user in the form of text, images, sounds, or other media (Farlex). Output devices have made our lives so much more convenient, and allow us to receive the information we desire much more readily. One of the most common output devices is a printer. A printer is an output device that produces text and graphics on a physical medium such as paper (COM 9). There are a wide variety of printers to choose from including impact, nonimpact, and photo printers. Each comes with their own set of pros and cons, and deciding which one works best for you all depends on what features are most important to you. One type of impact printer is the dot-matrix printer, which prints characters and illustrations by striking pins against an ink ribbon. The pins form closely spaced dots to shape the desired character. The negatives of dot-matrix printers are they are quite expensive, do not produce high quality output, and are quite noisy. 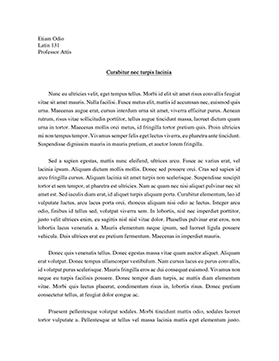 However, they can print to multi-page forms, while non-impact printers cannot (Escotal). ...Escotal.com Computer Training, Internet Consulting. 2013. Web. 22 Nov. 2013. .
Farlex. The Free Dictionary by Farlex. 2009. Houghton Mifflin Company. Web. 22 Nov. 2013. .
Fox, Will. FutureTimeline.net. 2013. 22 Nov. 2013. .
PhotoPrinters.us. Photo Printers. 2004-2011. Web. 22 Nov. 2013. .
Shelly, Gary B. and Misty E. Vermaat. Microsoft Office 2010 Introductory. Boston: Course Technology, Cengage Learning, 2011. Print. Wikipedia. Display device. 23 May 2013. Web. 22 Nov. 2013. .
Williams, Sun. Five Fantastic Advances in Smartphone Technology. 14 Feb. 2013. Web. 22 Nov. 2013. .